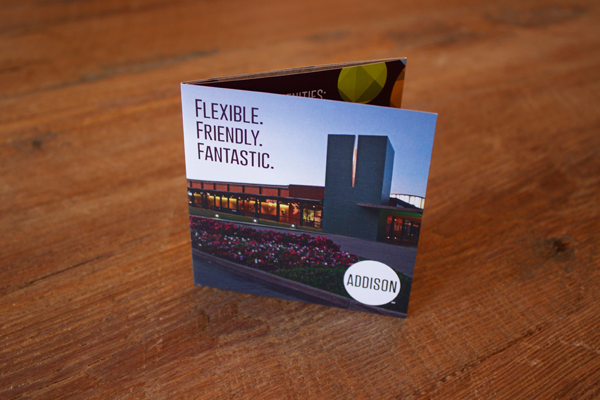 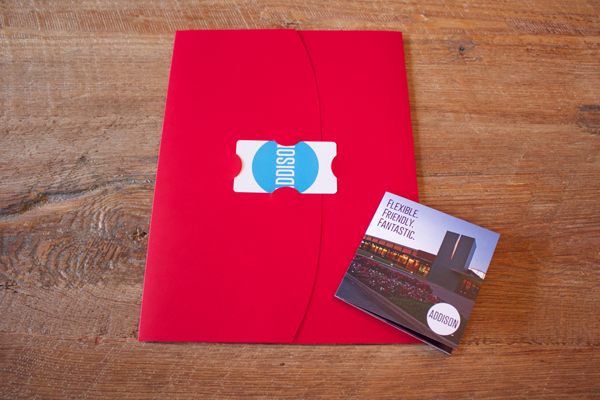 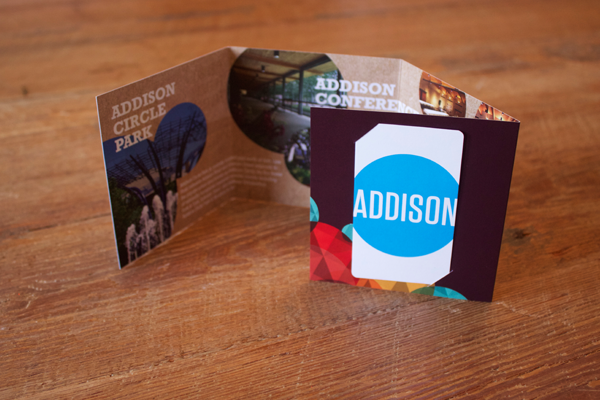 The Town of Addison Conference & Theatre Center marketing team came to Rainmaker for eye-catching collateral that would attract new business to their venue. 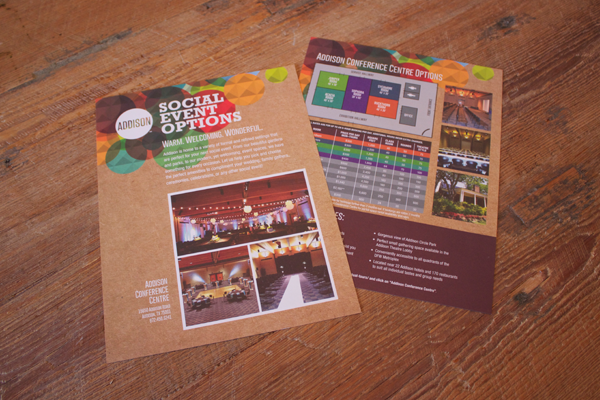 The creative team at Rainmaker, presented several options that incorporated the new brand for the town. 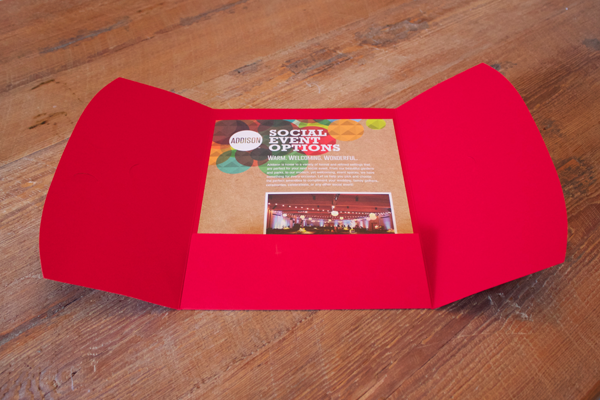 Rainmaker Advertising researched bright red pocket folders to coordinate the insert sheets and designed a small pocket-sized brochure that matched the campaign and can be used at networking events.